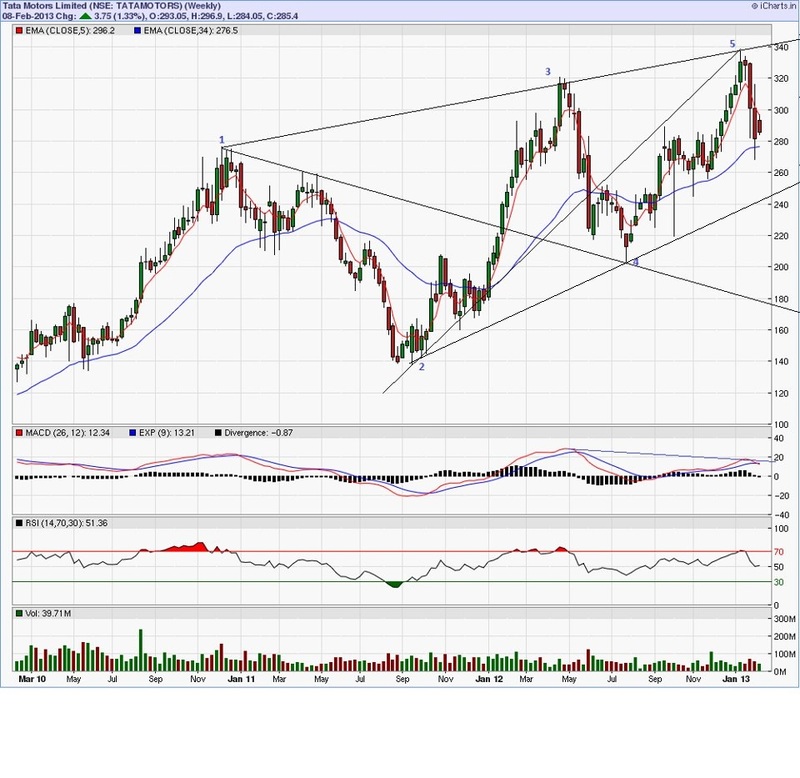 Tata Motors Weekly charts showing wolfe wave pattern. also there is negative divergence on MACD on weekly time frame charts. 1st target may be 240 breaching the 240 on weekly closing basis may trigger for next target of 180.
what is sl for this trade? Sl is 300 on closing basis. actually this is positional call. But I just want to know the time frame. Rajesh..any time frame or any SL like 350 …After result it comes up but look like it is trap. You are right. But i suggest the sl for new entry in tatamotors. In case of timeframe it is like 3rd wave may started already and todays retrecement is like 2nd of 3rd wave. May resume downtrend soon.